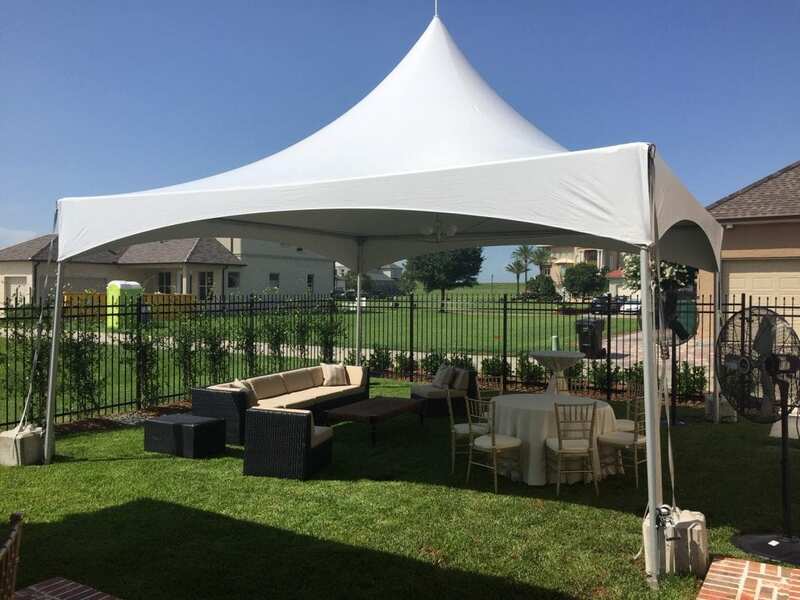 A 20′ x 20′ high peak tent is the perfect size for most parties and usually fits in backyards without any issues. 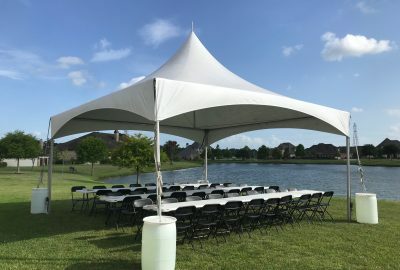 For this party we provided a wicker furniture set, tables, ivory linens and gold Chiavari chairs. We also provided pedestal fans to keep everyone cool.